Avast (LSE: AVST), the global leader in next-gen cybersecurity products for businesses and consumers, protects hundreds of millions of people online. Avast offers products under the Avast and AVG brands that protect people from threats on the internet and the evolving IoT threat landscape. The company’s threat detection network is among the most advanced in the world, using machine learning and artificial intelligence technologies to detect and stop threats in real time. Avast creates top-ranked digital security products for Mobile, PC, and Mac. 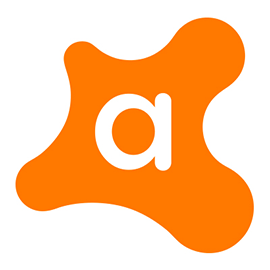 Avast is looking for a Social Media Manager in London, United Kingdom. If you meet the requirements below, you will be eligible to apply via Digital Marketing Community. Improve strategy and tactics to engage our customers and prospects on social channels for the Avast and AVG brands. Run creative and compelling social media content constantly to engage our community. Oversee and respond to posts and inquiries in a timely manner. Cooperate and communicate with cross-functional teams to ensure brand consistency. Promote and report KPIs in measuring the impact of social media content and campaigns to improve ROI. Grow the social following in our key target segments, tailoring content by brand, audience, and geography. Research and facilitate new trends in social media to increase and strengthen brand awareness. Design and execute event-based social media reporting during shows, events, and speaking engagements. Work as the first point of response to comments on social and work closely with customer care to escalate issues, as needed. Produce social listening insights and valuable social feedback to various business units and alert product teams of bugs or customer experiences with the products. Bachelor’s degree with an emphasis on communications, marketing, or business. Minimum 3 years of social media content development and management experience. Effective experience in B2C technology a must. Familiarity with latest social media management tools. Proficient experience with SproutSocial, HubSpot, Google Analytics or similar tools. Solid interpersonal skills and ability to work cross-functionally with global teams. Strong writing skills with strong attention to detail, grammar, and tone.